Continuing our tradition of stewardship of the places at which we camp and of giving back, we’ll again be joining The Recreational Aviation Foundation for a work party at the McKenzie Bridge Airport near McKenzie Bridge, OR on 1 June. Camping on the nights of 31 May and 1 June. There will be a pot-luck dinner and BBQ (remember last year) on the evening of 1 June. There may even be a movie or two. There is work to be done ranging from heavy clearing of small trees and brush, to filling holes and raking, to sitting on a stool and painting stuff. 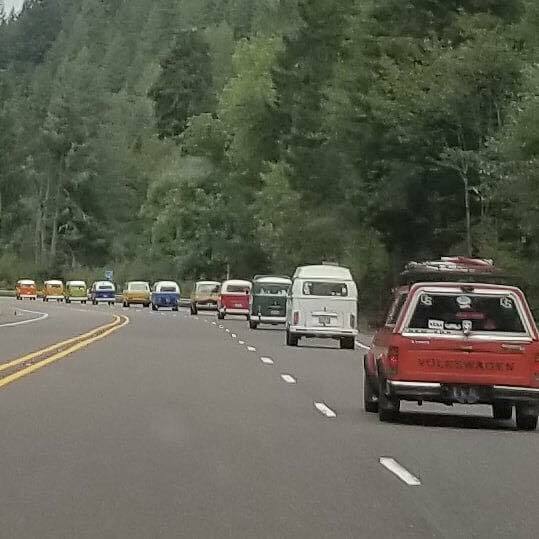 The Airhead Parts Hwy 1 Treffen is an annual West Coast, Canadian Border to the Mexican border Vintage Volkswagen cruise. Join us as we cruise from Eugene to the North Jetty in Florence. Bring a picnic. 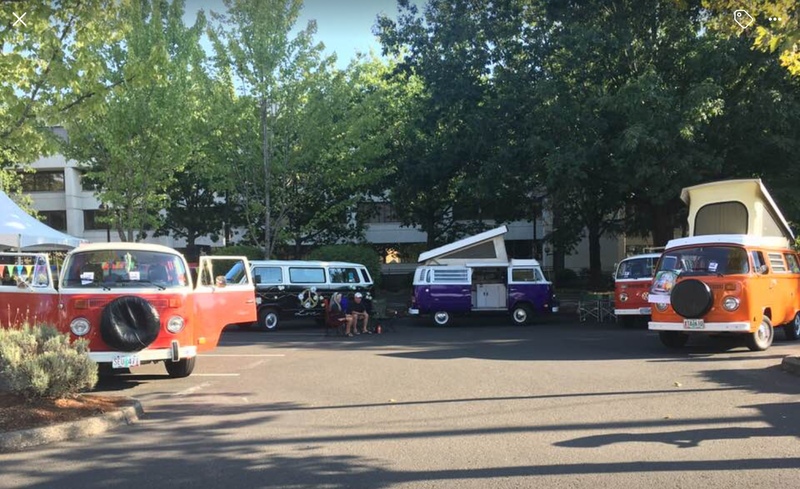 We typically find a free place to camp after the Coast Run. Last year was up on Roman Nose Mountain. Outback Station, OR. South of La Pine on Rt 31 very near Hole in the Ground. No water. Plentiful port-a-potties. Showers available for purchase. 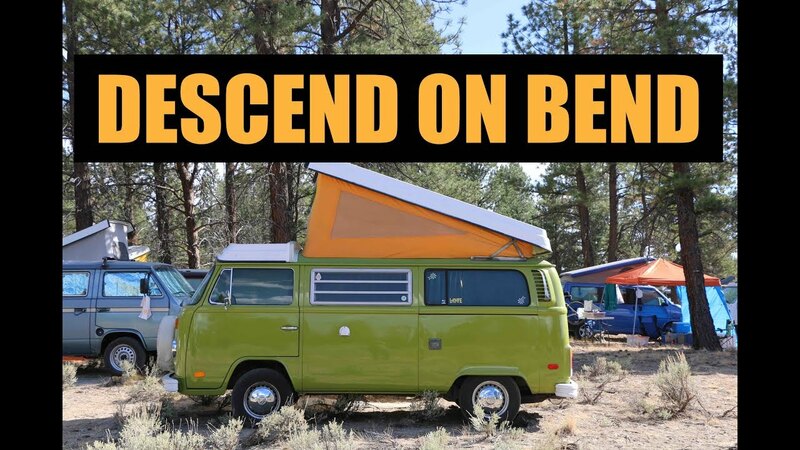 The largest van-life camping event you’ve probably not heard about. Registration opens on 1 Jun, 2019. Watch https://www.descendonbend.com for more details. Free camping, no water on site, pit toilet, large covered area. Plan on a potluck for Saturday night.